The former Soviet republic of Belarus, located in the midst of Russia, Ukraine, Poland, Latvia and Lithuania, is home to what was once the sprawling, palatial headquarters of the Soviet secret police, the KGB. That imposing edifice is located in the capital of Minsk, a city of some 1.7 million people, where one may view other examples of Communist Bloc architecture that have largely crowded out what remained of the ancient city, which dates back to the 9th century CE. And though the suspicion of Western Europe remains strong here, Belarus has nevertheless recently taken its first tentative steps toward embracing the game. 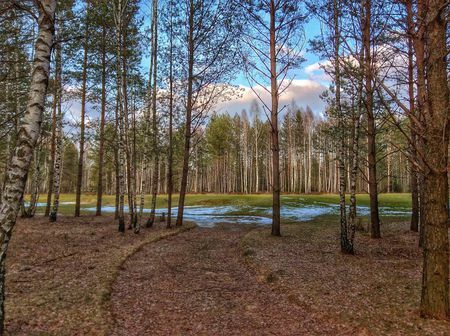 The country's first course is a full 18 holes at Minsk Golf Club, which is also the headquarters for the Belarusian Golf Federation, the existence of which organization offers hope for the future. Belarus has also sent a team to regional golf tournaments, including the Golf Mad Pro-Am in Turkey in 2015. So while it is true that the country is run by an old-school autocrat, and that the winters are incredibly long and equally as cold, it is nevertheless to be hoped that more of this relatively undeveloped country will be opened up to the game. Perhaps the diplomats who staff the new nation's embassies will at least induce nascent capitalists in the capital to consider improving the one extant club and establishing one or two more.